Purchase this item to receive your own personalised chalkboard seating plan. Simply select the format, size and quantity below. Pricing includes two rounds of revisions, additional revisions are $25 per PDF proof issued. The blackboard look is a hot trend at the moment so these chalkboard seating plans are right on point. Hand drawn and illustrated wedding signs and seating plans are beautiful, but also come with a hefty fee and design lead in time (i.e. you need to have your seating plan sorted really early!). Digitally printing a chalkboard look is a great alternative. 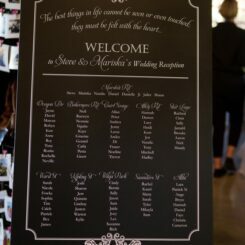 Here’s an example of a seating plan that’s been printed onto photo paper and framed by the couple. 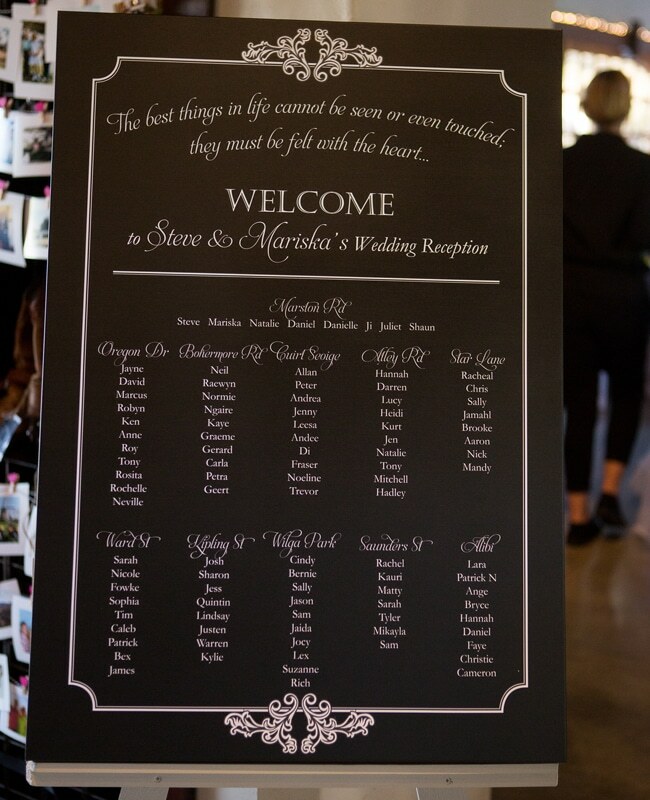 This beautiful vintage chalkboard style seating plan has a simple, elegant style. The style matches the Chalk it Up range of wedding stationery in the Be My Guest collection – and this seating plan is a beautiful addition to an elegant, vintage style of wedding reception. For the evening’s events, I put together a blackboard seating plan, which also included details on the next day BBQ. The clever groom made the frame himself.